EXTREME, RUNNING GAG. BAND TAB. EXTREME, II PORNOGRAFFITTI. BAND TAB. All songs written by Ule W. Ritgen except where noted. There's a new wave of bands emerging to divert the course of rock music for the 90's. They share a common thread-they take chances, eschew the obvious, and refuse to bow down to formulas. They explore a wider range of influences and sonic tangents than most of their contemporaries, resulting in a far richer final product, artistically and conceptually. King's X is such a band. So is Tesla. And so is San Francisco's Faith No More. Their sound has been described as eclectic, though it is more-polymorphic, uncategorizable. Successfully merging a plethora of seemingly incongruous styles, it is-depending on which track you hear-thrash or heavy metal, rap, power pop, experimental psychedelia, textural modern rock or even revisited nostalgia. The band was formed in the early 80's around the kinetic rhythm section of drummer Mike Borodin (who had been digesting African rhythms in addition to standard hard rock and metal grooves) and punk-funk bassist Bill Gould. Classically trained keyboardist Roddy Bottum was inducted by Gould; the two had known each other since grade school in L.A. 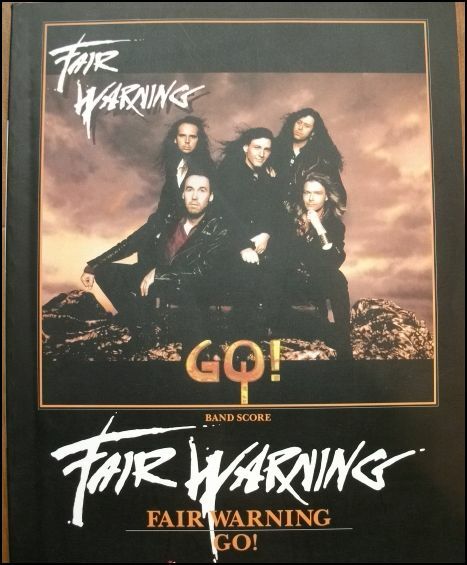 This core trio persevered until they joined forces with guitarist Jim Martin and vocalist Chuck Mosley. The fusion of punk, rap and metal was heard as early as their first offering, "We Care a Lot,"which achieved national recognition as a hit 12-inch dance single, of all things. The song was rerecorded for their 1987 debut, Introduce Yourself. By the time the third LP was to be recorded (1988), they had fired Mosley, and proceeded to hit the studio without a lead singer, building the tracks as instrumental backdrops for the "vocalist to be named later." Enter Mike Patton (formerly of Mr. Bungle), who wrote all the lyrics for the songs in two weeks, and provided the unusual vocal approach which was to redefine the band's sound. 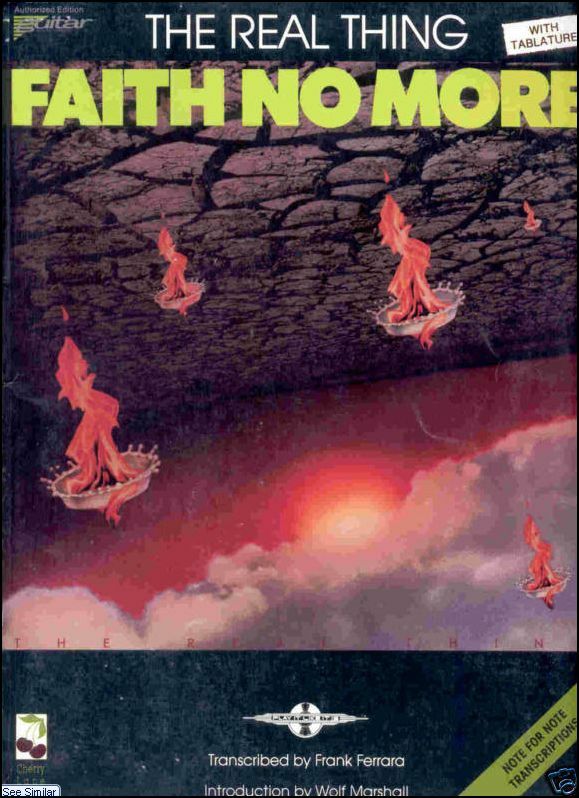 The definitive Faith No More was born by December 1988, and was unleashed on the world in their appropriately titled 1989 release, The Real Thing. The music on this record surpasses all their previous work in terms of sophistication, adventurousness and sheer diversity. Consider the expansion of the punklsci-fi power pop genre (as exemplified in the mid 80's by Billy Idol and Steve Stevens) in such pieces as "From Out of Nowhere," "The Real Thing" and "Underwater Love." Here the futuristic synth/textural trappings are beautifully held in check by Martin's metal-edged power chords, galloping rhythm riffs (as in the title track) and ultra-fat, distorted guitar tone. This allows the synthesized and sampled keyboard parts-which normally undermine the rock impact of most contemporary bands-to contribute meaningfully to the sonic whole. "Epic" celebrates the marriage of rap music and heavy metal. Verses are dominated by the characteristic rhythmical considerations of the rap style (sparse, repetitive percussion figures on drums and bass and a monotone vocal chant spoken as much as sung), while heavy rhythm guitar riffs provide a well-conceived contrast in the choruses, bridge and outro. Check out the thick palm muting and power chording of Rhy. Figs. 3 & 4 as well as the Randy Rhoads-inspired intervallic shapes found in the last bar of Rhy. Fig. 2 (containing chromatically ascending stacks of fourths and tritones). Allusions to the speed metal/thrash genre are heard in "Surprise! You're Dead!" and "Zombie Eaters." In "Surprise!," one can detect a number of unmistakable traits: heavily accented, dissonant chromatic riffs, multiple meter changes, use of the Phrygian mode, lockstep ensemble passages throughout, and vocals ranging from a raspy monotone to overanxious Halfordesque shouting and demented laughter. "Zombie Eaters" combines light acoustic textures (Rhy. Figs. 1- 7) with aggressive heavy metal sounds (Riff A, for instance). Note also the unusual blend of synth pads and metal chords during Rhy. Fig. 8. The closing cod etta is a bizarre reworking of the immortal "Stairway to Heaven" chord intro, transformed into an equally evocative Faith No More moment. "Falling to Pieces" fuses a variety of influences. The rhythmic intro of pocketed bass and drums recalls the space funk of Parliament-Funkadelic, while the verse lays down an animated groove in the vein of Led Zeppelin (see Rhy. Fig. 1), complemented still further by the Van Halenesque triad comping in the second section of the verses (bars 9-12). The outro is purely textural, with keyboards adding coloristic arpeggiations over a funky bass/drums ostinato-the section seeming to grow organically from the power pop, hooky, outchorus vamp. "Edge of the World," "Woodpeckers from Mars" and "War Pigs" represent three distinctly different musical directions handled by Faith No More with remarkable ease. "Edge" invokes a vintage 40's50's r&b/jazz mood, complete with bluesy acoustic piano accompaniment and ad-libbing, an implied shuffle pulse (slow 12/8), sax/horn section colors and hipster fingersnaps. The ingenuous minor/seventh (both Am and A7 as tonic) blues changes and nostalgic arrangement lend an eerie touch. "Woodpeckers from Mars" (and why not?) creates a surreal instrumental soundscape of otherworldly images evoked in the curious opening resonant synth riff (Riff A), intriguing ethnic main melody (based on the E Phrygian-Dominant scale: E F G# ABC D), and the twisted avante garde guitar effects in the 4/4 section, the latter providing an aleatoric interlude of frenzied and chaotic guitar noise instead of the predictable guitar solo of instrumental rock music. 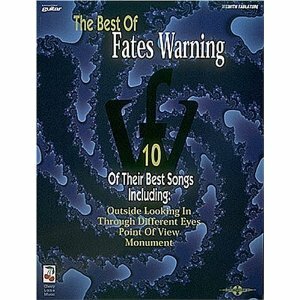 But then, Faith No More is hardly predictable-the only thing predictable is their unpredictability. "War Pigs" reappraises the metal roots of the band. 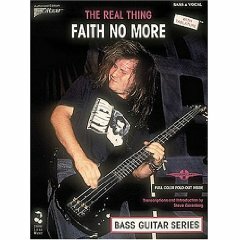 Faith No More expands on the Black Sabbath classic in terms of modern recording sonics and technique, using a bigger, heavier 80's tone, but still remaining faithful to the details of the composition-reflected particularly in the paraphrase recreation of the signature Tony lommi guitarwork (even down to the overlapped double solos). For the studio and live stage, guitarist Jim Martin keeps his equipmentdeceptivelysimple. His main guitar is a 1971 Gibson Flying V, personalized with a chrome pickguard and truss rod cover. It is fitted with a Kahler tremolo system and a DiMarzio Super Distortion humbucker in the bridge position. Another Gibson V and a Les Paul round out the electric guitar line-up. These are played into three ancient Morley pedals (Power-Wah-Fuzz, Volume Depressor and an Echo-Chorus- Vibrato) and then straight into Marshall amps. Two acoustics, a banjo and a mandolin augment the guitar/string arrangements as needed. FOGERTY JOHN, BLUE MOON SWAMP. TAB. FOO FIGHTERS, BEST. CD TAB. In this great book/CD pack, Troy Stetina, the senior editor of GuitarOne magazine, provides complete lessons, detailed performance notes, and a step-by-step breakdown of the Foos' guitar styles and techniques. Guitarists will learn to play exact licks from 12 tunes. The CD features full-band demos at both normal and slow speeds. FOO FIGHTERS, THERE IS NOTHING LEFT TO LOSE. TAB. This folio features note-for-note transcriptions for all 11 songs from the Foos' stripped down, hard rocking, critically acclaimed '99 release, including the smash hit single, Includes photos of the band.